The RS400 is a highly successful and incredibly popular gennaker powered double hander that delivers great performance and exceptional handling. 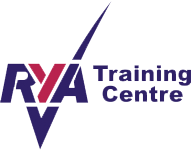 The RS400 is the absolute winner in the hands of both men and women at hundreds of sailing clubs around the UK. 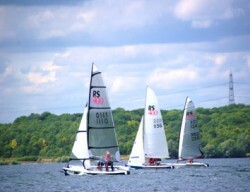 Nothing matches the RS400’s balanced and responsive handling, its good manners in big breeze; it’s competitiveness in light airs and the exhilaration of asymmetric racing and exciting race scene all go to make the RS400 one of the best all-round dinghies available for both the club sailor and keen racer.The class is well-supported at Grafham and nationally and we are proud to host the well-attended RS400 Inland Championship in October.Grafham Water Sailing Club is centrally located, and one of the biggest inland sailing venues in the UK. This means we can provide you with the best upwind downwind racing and all the support you could need.